The Sonning and Sonning Eye Society is a civic society whose members hope to make a constructive contribution to village life. It was launched in the Autumn of 2004 under the Chairmanship of Canon Christopher Clarke and now - ten years later - has a strong and enthusiastic membership of over 200. Membership is not restricted to those who live in Sonning or Sonning Eye but open to everyone who cares about the villages and their environment. Our aim is to preserve and enhance the character and appearance of the area. One of our most important functions is to promote high standards of planning, conservation and traffic control. We also provide information about local history, the natural landscape or architectural features and actively encourage new research on any subject within its present or historical boundaries. 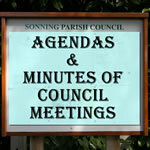 By linking to local governing bodies like the Sonning Parish Council and Eye and Dunsden Parish Council we keep up-to-date on neighbourhood issues. We monitor change, make comments when required and provide a valuable independent voice. We also organise a variety of social events, talks, outings or local guided walks which are greatly enjoyed by members. We publish small leaflets or books, such as the recent ‘Village Voices’, and support national events like the annual Heritage Open Days. Our main means of communication is through our quarterly newsletter ‘Bridge’. Single Adult £5, Double £8. 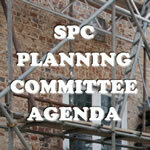 For more details contact our Membership Secretary, Lesley Heaney at 3 Sonning Gate, Sonning, RG4 6GQ.